Once upon a time, couples and singles used to buy themselves a starter home before moving in to a bigger, better and more permanent house. Today, many first-time home buyers want to skip the starter home stage altogether and buy homes that they can live in for the long haul. That’s according to a recent poll that surveyed more than 1,000 future homebuyers. Many people don’t have the money to buy their dream homes until later in life. That’s not necessarily a bad thing. As you get older, you’ll probably have a better idea of what you want. If you realize that you want a family, for example, you’ll know that you need to buy a home in a place with good school districts. Buying or selling a home can be a time-consuming process, so if you find the perfect home and you never have to move again, that can make your life a lot easier. Trends suggest that Americans are staying in their homes longer than they did before. In 1987, the average family stayed in their house for 11 years, according to a report from the National Association of Home Builders. In 2011, the average family stayed in their house for 16 years. Although these trends may be affected by the housing recession, they suggest that many Americans prefer to live in one home for a lengthy period of time. Find out now: How much house can I afford? Skipping the starter home stage doesn’t necessarily work for everyone. If you can’t afford the dream house you’ve always wanted and you’re tired of renting, you might need to go ahead and buy a starter home. In the meantime, you can work on saving money. If you can stick to a budget, eventually you might be able to make a down payment on the house you really want. By purchasing a starter home, you’ll also be able to take advantage of the benefits that homeowners enjoy. For one, you’ll no longer have to worry about following a landlord’s rules. Plus, you may be able to qualify for a number of tax breaks. If you rent and save for your dream home, you’ll have to wait a while before you can claim the mortgage interest deduction. Rental rates continue to rise. Unless you live in a rent-controlled or a rent-stabilized apartment, there’s no telling how high your rent could climb within a year. If you buy a house and get a fixed-rate mortgage, your payments will stay the same throughout your entire loan term, unless you decide to refinance. Try out our down payment calculator. 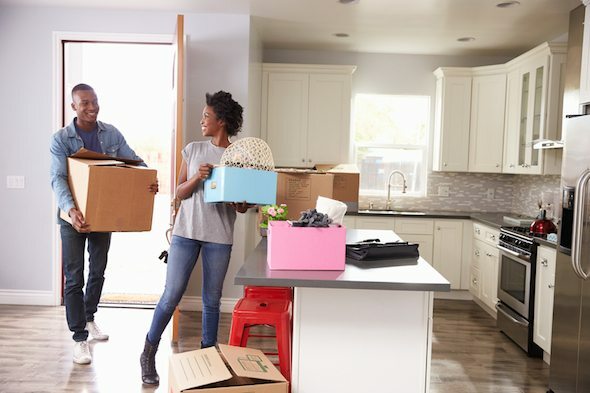 Skipping the starter home stage might be worth considering if you dislike the idea of moving and you’d rather put the time and effort into saving up for your dream home. But if it’ll be a while before you can afford to buy the house you really want and you’re sick of dealing with your landlord, it might be a good idea to invest in your own home. Sarah Fisher Sarah Fisher is an expert in money saving strategies. She is currently studying English at Georgetown University. Sarah was born and raised in Manhattan - where she still resides.